This entry is filed under Kiosks, kiosks for sale, kiosks in malls, mall carts, mall kiosks, Mall Kiosks and Carts and tagged affordable carts, affordable kiosks, affordable kiosks & carts, affordable kiosks and carts, Carts, Kiosks. One of the commitments we have as a company is to deliver the best quality at the best price. 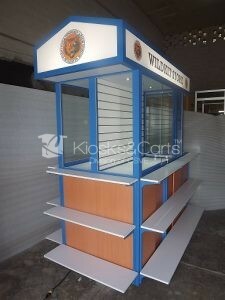 That’s why we can say that we offer affordable kiosks and carts. The manufacturing team is in frequent contact with different suppliers to ensure that we have the highest quality materials at the best price. Thanks to this, we can offer kiosks and carts at the best price. 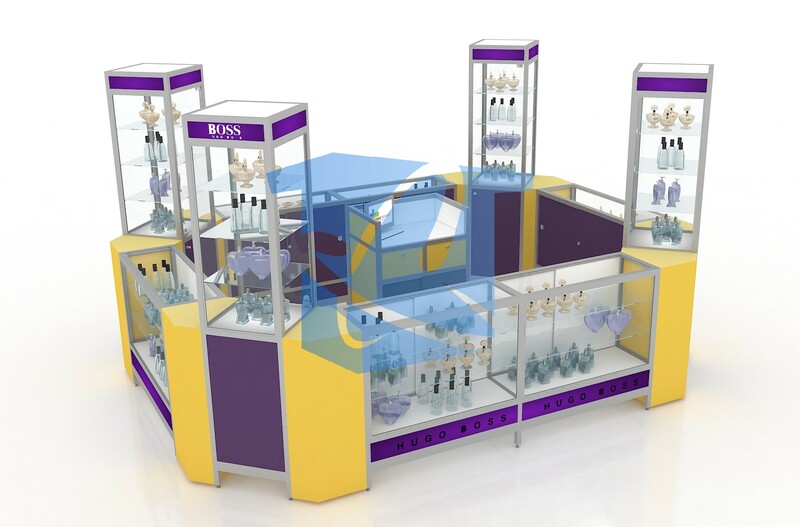 Within our products we offer: souvenir kiosks, eyeglass kiosks, food kiosks, perfume kiosks, jewelery kiosks, clothing kiosks and any other type you can imagine. Our designs have the possibility to adapt to your business. Even with this, if you had an idea different from what you see on our internet sites, do not worry, we can do it for you. Just contact our sales and marketing department and we will immediately start developing your project. Call us, our assistants will attend you with pleasure. This entry is filed under mall kiosks, Mall Kiosks and Carts and tagged mac, makeup, makeup carts, makeup kiosks, sephora. 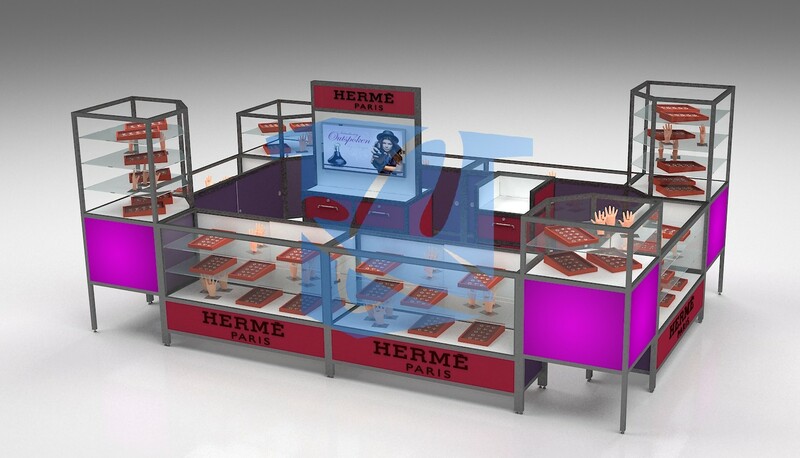 The makeup kiosk is a set of showcases that display makeup pieces of one or several brands. 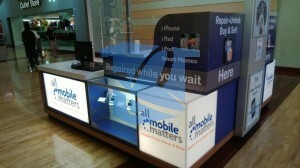 Learn all about this kind of kiosk in this article. Makeup is an industry that grows more and more. People seek to look good at all times and that is why, makeup is a basic article. That is why the kiosks have taken a lot of importance for the sale of these products. 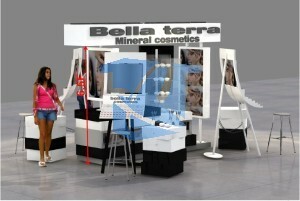 These kiosks show a large amount of products in a small space. They have different areas that in addition to displaying products, allow you to store your inventory. In makeup kiosks you can include lipsticks, eye shadows, eyelashes mask, sun protectors, eyeliners, brushes, brushes and more. If you want information from kiosks and retail carts, call us, we can help you. 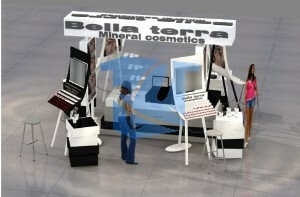 This entry is filed under aluminum kiosks, Kiosks, kiosks in malls, mall kiosks and tagged clothes, clothing kiosks, sales. Fashion is one of the few business sectors that better resist the bad economic times or times of crisis. 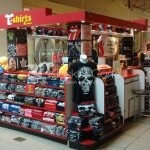 Starting a clothing business with a kiosk is a safe bet to have a successful and profitable venture. Here I am going to teach you how to start a clothing business, and what tips are key to you being successful with it. Would you like it to be a physical store in a shopping center or street, or maybe you prefer Start with a franchise? This is a decision that you must make according to your possibilities or the type of business you want to manage. But do not worry: it is not a decision that you can regret later. Do not decide hastily the type of clothes you are going to sell based on what you like, because this is the main reason why most fashion businesses fail. Many stores fail because They do not offer the products that local customers want and they need. When you already know what kind of clothes you will sell, it’s time to Create a name and logo for your company. It does not matter if your business is online or physical: your clothing store should have a nice name that attracts your customers and a logo to remind you better. The place in a physical store is perhaps the most important part and responsible for our business to fail or succeed. That’s why you should look for a place that attracts the most possible customers. You already have an online store or a physical store, you are going to need clothes to sell or send to your customers. You have several options for your articles: It can be clothes that you do, sell second-hand clothes, look for factories or brands that distribute your products, or you can import it at a low cost from places like China. Hopefully you have served this small article on how to start your clothing business. If you want to start your clothing business and need a kiosk, contact us, our team will give you the best alternatives. 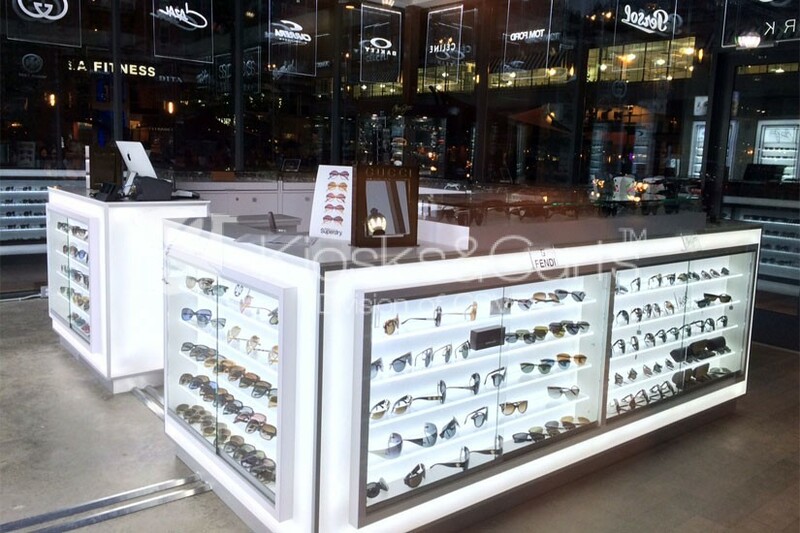 RETAIL KIOSKS – JEWELRY, CANDY, WATCHES, SUNGLASSES, FOOD. This entry is filed under custom kiosks, jewelry kiosks, Jewelry Mall Kiosks, kiosk designs, Kiosks, kiosks for sale, kiosks in malls, Kiosks made for the jewelry business, mall kiosks, perfume kiosks, retail kiosks, Retail Kiosks Made in the USA, Retail Mall Kiosks, sunglass kiosks, watch kiosks and tagged mall kiosks, retail kiosks, Retail Mall Kiosks. 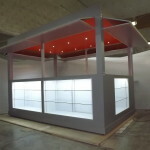 Retail kiosks come in all sizes, shapes and materials to meet every need and requirement owners and malls can think off. That is precisely the reason why we believe in customization rather than mass-produced models that all look the same. 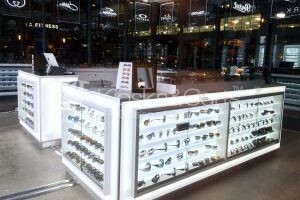 A jewelry kiosk is not a candy kiosk and perfume and sunglass businesses are not alike either. We all find that obvious so why should your kiosk look like any other. Sure we have catalogs with models but these models can be customized any way we can think of. And if needed we design one from scratch to meet your needs. Being retail or beauty treatment or tax services, we build to maximize your efforts because that is what partners do. 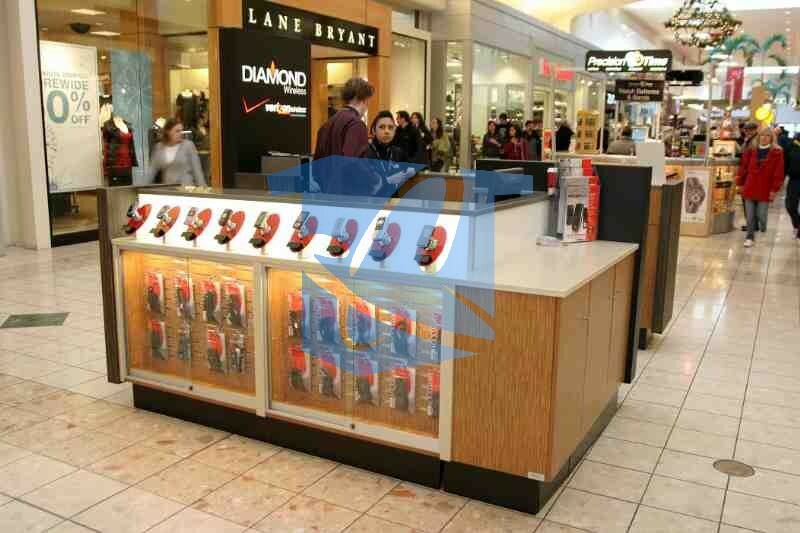 Let’s work together and get you, not only the kiosk you need, but the kiosk you deserve. 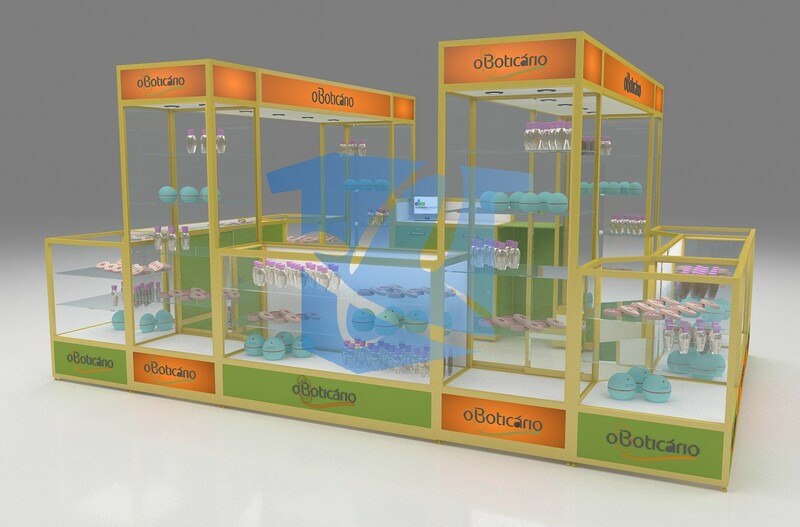 This entry is filed under custom kiosks, Custom Mall Kiosks, kiosks for sale, kiosks in malls, mall carts, mall kiosks, Mall Kiosks and Carts, shopping centre carts, shopping centre kiosks and tagged mall carts, mall kiosks, Mall Kiosks & Carts. HUGE discounts on all our retail mall kiosks and carts are automatically applied this month of January and February 2018. The discount is 15% and applies to all the categories of our mall kiosks and carts. For more information, please send us an email or call us. This entry is filed under cell phone carts, commercial carts, custom carts, jewelry carts, mall carts, mall kiosks, Mall Kiosks and Carts and tagged mall carts, Mall Carts & Kiosks. 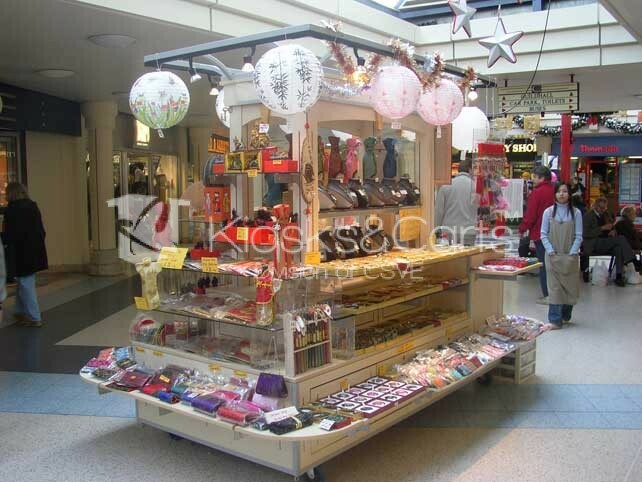 Our Mall carts were designed by our team here at Kiosks & Carts. The designs were prepared over a 3 period where most of these designs were tested for durability and success. With over 200 Mall Cart designs to date we are the leader in North America and this is one of the main reason why big shopping centres and retail malls all over the USA and Canada order their RMU’s, Kiosks and Carts from our company. 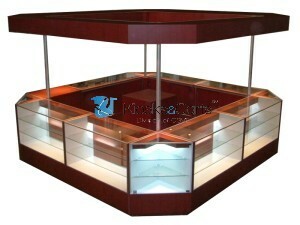 It is obviously much cheaper to order from us where the kiosks or carts are made and shipped directly to the customer. 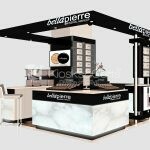 This entry is filed under aluminum carts, aluminum kiosks, Canada, cart designs, Carts, carts for sale, carts in malls, cell phone carts, cell phone kiosks, commercial carts, commercial kiosks, custom cart manufactures, custom carts, custom kiosk manufactures, custom kiosks, jewellery, jewelry carts, jewelry kiosks, kiosk designs, Kiosks, kiosks for sale, kiosks in malls, mall carts, mall kiosks, Mall Kiosks and Carts, mobile carts, mobile kiosks, mobile stores, modular carts, modular kiosks, Parfume, Perfume carts, perfume kiosks, retail cart displays, retail cart fixtures, retail carts, retail kiosk displays, retail kiosk fixtures, retail kiosks, shopping centre carts, shopping centre kiosks, specialty carts, specialty kiosks, sunglass carts, sunglass kiosks, Uncategorized, USA, watch carts, watch kiosks and tagged Mall Kiosks and Carts, Multi Purpose Carts & Kiosks. You already know that our selection of retail mall kiosks and carts is among the largest on the planet and now you can pick the design you like best right from our website www.KiosksCarts.com. 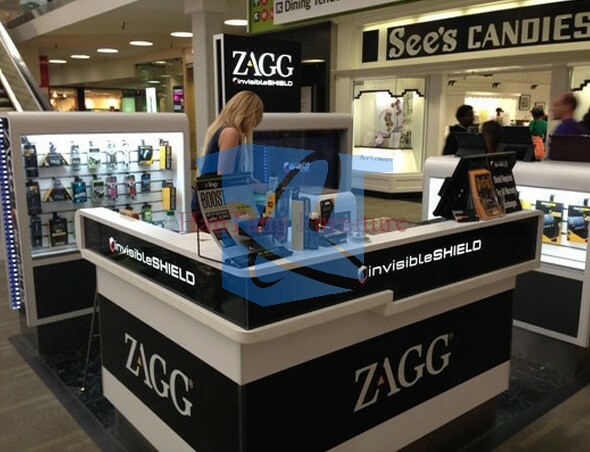 This entry is filed under cell phone kiosks, custom kiosk manufactures, custom kiosks, jewelry kiosks, kiosks for sale, kiosks in malls, mall kiosks, mobile kiosks and tagged cell phone kiosks, Cellular Phone Kiosks, Retail Kiosks for Cell Phones. Some of new cell phone kiosk designs have been very successful and we have been selling many. 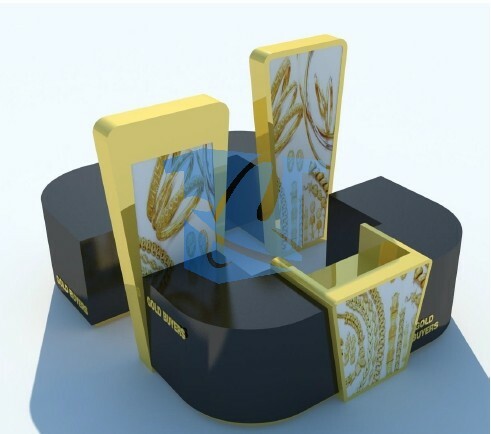 Now that we are in 2016, we will be designing a selection of jewelry and cell phone kiosks and create its own catalog for these 2 categories as well. 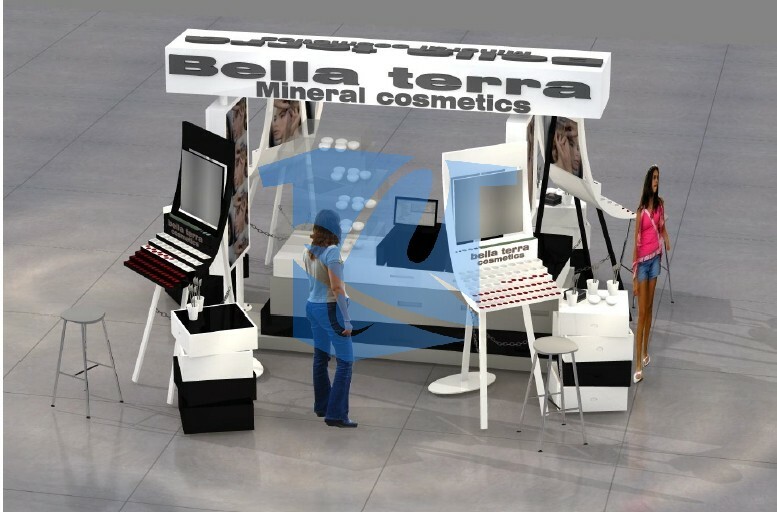 This entry is filed under aluminum kiosks, cell phone kiosks, commercial kiosks, custom kiosk manufactures, custom kiosks, jewelry kiosks, kiosk designs, Kiosks, kiosks for sale, kiosks in malls, mall kiosks, mobile kiosks, modular kiosks, perfume kiosks, shopping centre kiosks, specialty kiosks, sunglass kiosks, watch kiosks and tagged jewelry kiosks, mall kiosks, retail kiosks, watch kiosks. 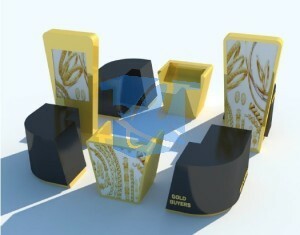 Our classic gold line catalog has a few new retail kiosk designs that have been recently added. All the designs that can be viewed online are mall kiosks that can be used for multiple purposes such as for jewelry, cell phones, candy, hats, music, clothing..etc. This entry is filed under aluminum carts, aluminum kiosks, Canada, cart designs, Carts, carts for sale, carts in malls, cell phone carts, cell phone kiosks, commercial carts, commercial kiosks, custom cart manufactures, custom carts, custom kiosk manufactures, custom kiosks, jewellery, jewelry carts, jewelry kiosks, kiosk designs, Kiosks, kiosks for sale, kiosks in malls, mall carts, mall kiosks, Mexico, mobile carts, mobile kiosks, mobile stores, modular carts, modular kiosks, parfuma, Parfume, Perfume carts, perfume kiosks, retail cart displays, retail cart fixtures, retail carts, retail kiosk displays, retail kiosk fixtures, retail kiosks, shopping centre carts, shopping centre kiosks, specialty carts, specialty kiosks, sunglass carts, sunglass kiosks, USA, watch carts, watch kiosks and tagged jewelry carts, jewelry kiosks, Retail Kiosks and Carts, specialty carts, specialty kiosks, sunglass carts. 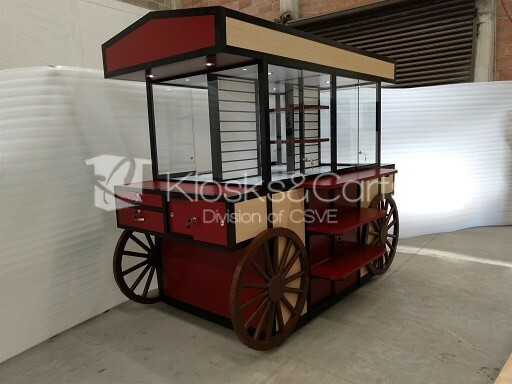 Below we have added a few retail kiosk and cart designs that have also been added to our classic line carts and kiosks catalogs. Cell phone carts in parks!